My OUTLANDER Purgatory: Another Great Chat - and a Great Casting Video! Thanks to everyone who came to chat tonight! As always, I love chatting with you lassies. You guys give such great insights about the series. I always feel a little sad when it's time to sign off! 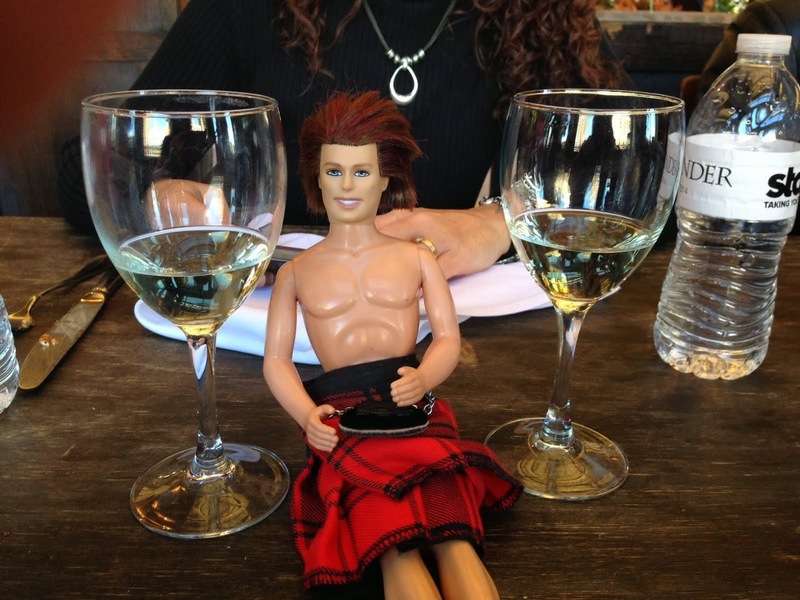 And a special thanks to Jeanie who suggested this casting video for Outlander. Wow. Double wow. It's REALLY good. Enjoy! And Jude Law as LJ???? Ska-WEEEEEEEEEEE. That totally did not look like Gerard Butler in the video. Yes, Fergus is hot. Really, could anyone else but Jude Law be LJ? So polished and proper?? Great video. MMmmm ...Love Hugh Jackman as Ian, and Roger, Young Ian .... Fergus, mmm yummy! Jude Law as LJ - be still my heart, love that pick, Delicious! Great video, thanks for sharing, I hadn't seen this one before! Aaaand, of course Gerard, my favorite...as Jamie...I know he is too old to play the young Jamie since he's 40, but he could play Jamie from Voyager and on. Great video! Hadn't thought of Christian Bale as Roger - but he would do verra nicely! What about Ewan McGregor as Ian?